Established in 2012, the organisation uses National Lottery funding to provide support and training to create a connected approach to the development of the film industry in the British Midlands. 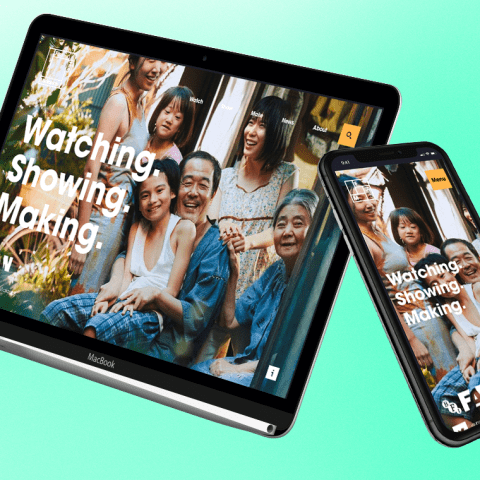 Part of the British Film Institute’s Film Audience Network, Film Hub Midlands wanted a stylish new website that reflected the brand, engaged audiences and created awareness of the organisation’s work. Un.titled helped us realise our digital vision for Film Hub Midlands at the highest standard, enabling us to connect with our audiences in a meaningful way. We learnt so much through the first discovery phase - on our audience, our brand and our aspirations. Not only did Un.titled build the website, but the team also helped train staff from Film Hub Midlands on how to manage and maintain the website, enabling them to continue to enhance the online platform and promote their work. A series of supporting documentation, including content guidelines and a training manual, was also created. Additionally, Un.titled supported Film Hub Midlands during the testing phase and while content was being loaded onto the new site. Un.titled used the findings of this research and workshops to create a website that is fully optimised for users. The website also features new branding from Film Hub Midlands. It showcases a dynamic aesthetic in line with the organisation’s make-up and acts as a nod toward Film Hub Midlands’ core audience and activities. Un.titled worked closely with the Film Hub Midlands team and ran various user experience-driven workshops to help identify the best approach to the new website’s layout and design. A small amount of data driven research was also conducted to pin down the best way to accommodate site visitors, and detailed personas matched to FHM's target audiences were created.